A statewide music festival is held at a faded grand old hotel. A mix of students, chaperones, staff and guests make for an intriguing story involving past and present events. The descriptions of the meaning and feelings that music evoke are memorable. There's even a blizzard thrown in which was timely to my mid-winter reading! 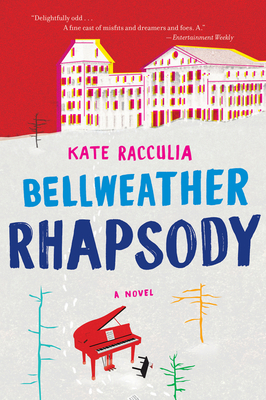 KATE RACCULIA is the author of the novels This Must Be the Place and Bellweather Rhapsody, winner of the American Library Association’s Alex Award. She received her MFA from Emerson College and now works for the Bethlehem Area Public Library in Pennsylvania. You can find her at www.kateracculia.com or @kateracculia.